Domain Name represents your brand. Before you buy a domain name, remember a Good Domain name holds much importance if you are going to start a website or a blog. It is very helpful for the success of your website. Your domain name is your identity on the Web. Searching domain name is one of the important parts of your blogging journey. You have to make sure you choose good domain name that not only fits your business but is also easy to find and promote. So, when you think to start a blog, do proper brainstorming to choose good domain name that perfectly suits your blog niche. There are thousands of similar available domains and it is very challenging to choose good domain name for your blog. In this article, I am going to tell you the characteristics of good domain names ideas that will help you to choose good domain name. Finding a domain name that’s easy to type is critical. Consider if you are using any slang in your domain name and you are telling your domain name to someone then he/she might end up in an opening different blog. For an instance, If you use slang (gud instead of good, 2 instead of to, u instead of you) or words with multiple spellings, it may be harder for customers to find your site and you will lose your visitors. You can always choose cool website names but it is recommended not to use slangs. Try using keywords that describe your business and the services your blog offers. Include the keywords that people enter when searching for your products or services. It helps to improve your rank on search engines which increases traffic. An example of such targeted domain names is – BlueHost, DreamHost, Hostgator as they are hosting providers companies and they are targeting their keywords in their domain name. Usage of targeted keywords also makes more sense to your customers. One common question asked is how long should a domain name be. A domain name which is short is preferred for the blog. By short domain name, I mean the domain names having maximum 5-7 characters. Though it will be difficult to find a short name for your blog because most of the 5-7 character good domain names are already registered. So for this, it is advisable to select domain names below 10 characters but never exceed 20 characters. In order to choose good domain name, make sure your domain name is easy to remember. If your domain name is short and meaningful then it is very easy for everyone to remember it. And visitors can directly open your blog if they need any information regarding your niche. On another hand, if you have a long domain name then it is very difficult to memorize it. If your domain name is difficult to remember then you will definitely lose your visitors. Remember that word-of-mouth. You don’t want to be the company with the terrific website that no one can ever remember to tell their friends about because they can’t remember the domain name. 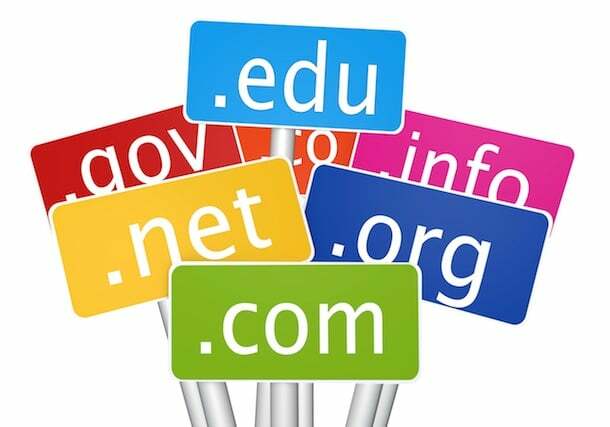 It is also very important for you to choose only that domain name which is easy to spell. If by mistake your visitor misspells your domain name then you will lose your traffic and visitors. So, avoid using words with difficult pronunciation and mix combinations of numeric and alphabetic characters strictly prohibited. Numbers and hyphens are often misunderstood — people who hear your blog address don’t know if you’re using a numeral (5) or it’s spelled out (five) or they misplace or forget the dash. So never select the domains having hyphens (-) or numeric. It is very difficult to remember and spell such kind of domain names. The most important thing to choose good domain name is select that domain name which is capable of describing your website or blog with their names i.e relevant to your niche. If you have a descriptive domain name then it will help the visitors to gain some idea about your blog niche. So, you should always focus on picking the right domain name which is descriptive. Do let us know what tips you will give others to choose good domain name. Share your feedback in comment section below 🙂 Don’t Forget To Share It with your friends and subscribe to our Email newsletter for more such updates. The name that we assign to the domain will be your brand and you will continue with it all the time. It will be the first thing that your users see, you can not choose the name lightly, there are many free domains, think well which one to choose. There are various tips for choosing out best domain name always check the best keyword and then choose out the domain name according to it and also check with your competitor what strategy he is following just by analysis its website. Hey good idea for a topic in blog post, I think some of the best advice would be to keep it simple, keep it short, and keep it direct. When I picked my domain for blog engage, I knew the target market was going to be bloggers so I put them together and came up with blogengage dot com. Domain name should reflect the services we are providing.Nice informative article.Thanks for sharing.